How to Apply: interested and eligible candidates may apply offline or online through website: www.mpsc.mizoram.gov.in on or before the closing date 23rd May, 2012. 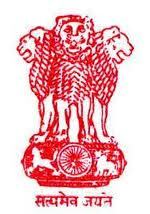 Please visit: original recruitment notification www.mpsc.mizoram.gov.in for full details. The candidates are advised to go through the requirements of educational qualification, age etc. and satisfy themselves that they are eligible for the concerned posts, before applying. Good luck.